May is an incredibly busy month for us – my son has swimming lessons twice a week, soccer practice twice a week, dance lessons and recital preparation, three days of kindergarten orientation, a craft class, specialist appointments, his 5th birthday party…and the list goes on! Thankfully we aren’t always this busy and we’ll have some time to relax after mid-June. With being on the go so much, I’m always looking for quick & easy snack ideas that we can pack as a picnic. 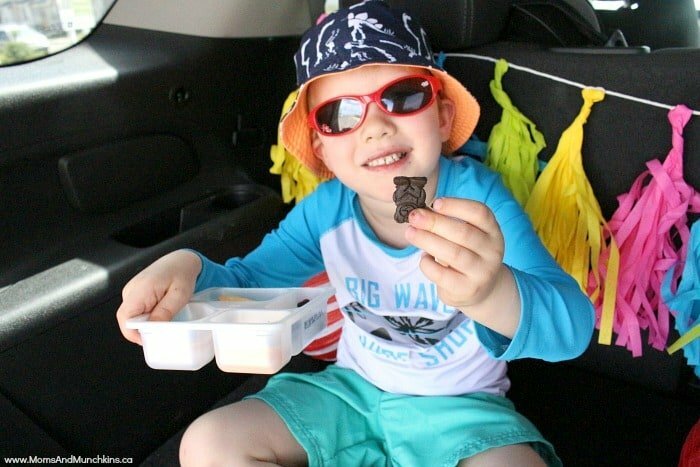 My son thinks it’s a real treat to eat lunch in the back of the SUV! In the back of the vehicle, I add a few fun decorations, a couple of pillows and some tasty packed lunches. My son has severe food allergies so eating out is extremely challenging for us. I feel much more comfortable grabbing something at the grocery store that is properly labeled with ingredients and cross-contamination warnings. One of our favourites are the new Schneiders Simply Lunch kits. The Schneiders Simply Lunch kits come in two varieties – Ham & Cheese and Turkey & Cheese. I’ve tried them both – several times actually, I’m hooked! – and I love them both. 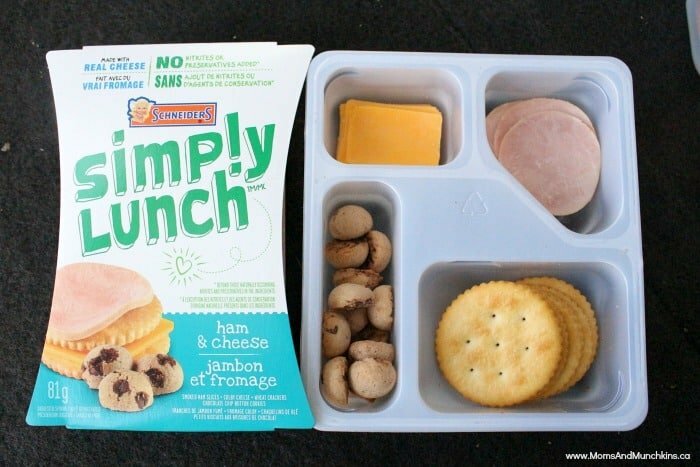 If my son had to vote for a favourite, he’d pick the Turkey & Cheese lunch kit because of the chocolate bear cookies. He doesn’t usually care for chocolate but he loves these cookies! The Ham & Cheese lunch kit includes smoked ham slices, Colby cheese, wheat crackers and chocolate chip cookies. 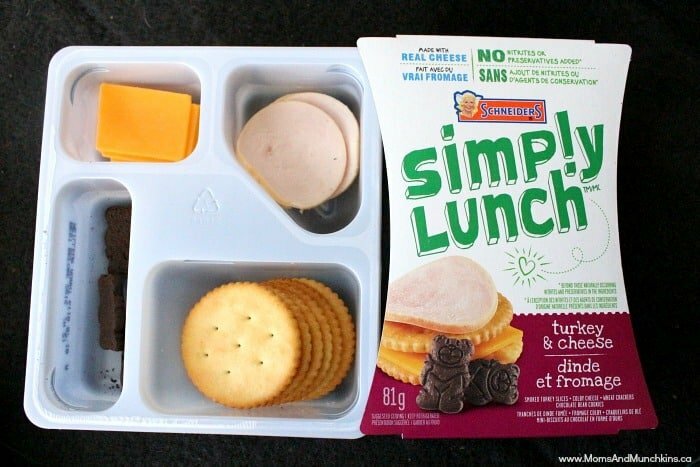 The Turkey & Cheese lunch kit includes smoked turkey slices, Colby cheese, wheat crackers and chocolate bear cookies. Yes, that’s real cheese inside those lunch kits! There are no nitrates or preservatives added, making these a healthier lunch idea and perfect for summer picnic season. Simply grab some at the store, toss them in a cooler with some cold bottles of water and you’re ready to go! What do kids think of these new Schneiders Simply Lunch kits? Well, let’s ask my little guy! Let Schneiders know what you think of the new lunch kits by visiting them on Facebook or Twitter.